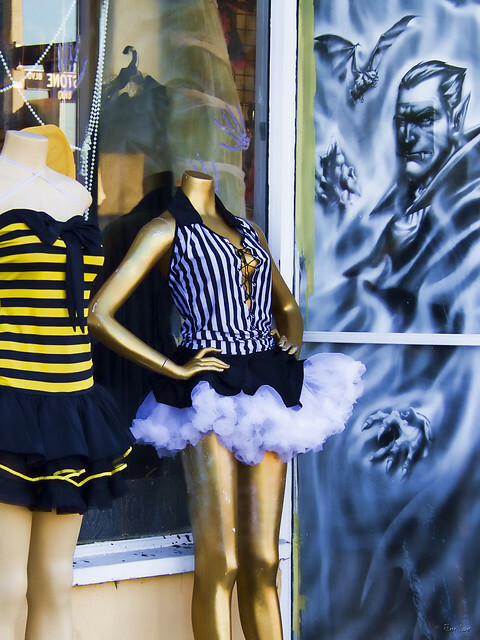 As surely as April showers bring May flowers, October causes the city to blossom out in Halloween costume stores. There are the year-round stores, and then there are the little hole-in-the-wall stores that seem to spring up out of nowhere. This little shop on Firestone Blvd. (the sign said Halloween Store Spooky Shop) is one of the latter. The scene out front seems to offer a choice: vamp or vampire. 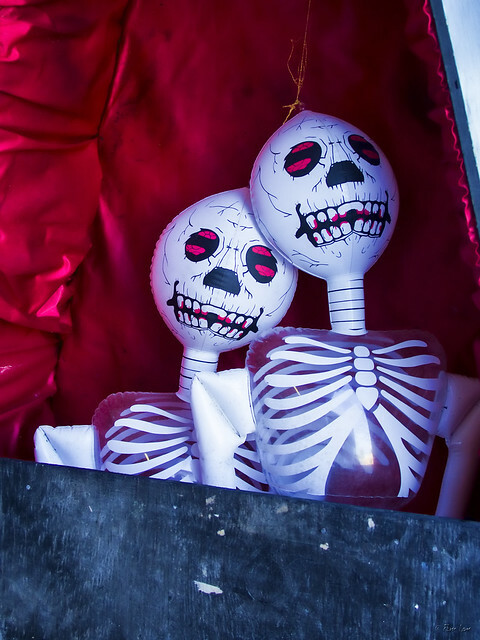 Inside, there are the usual supply of costumes, scary masks, and fun decorations.